Mai Chau is one of the most beautiful valley in North Vietnam where you can see and have chance to live with the friendly hill tribe who are kind-heated, smiling and very good cooks. Besides, the way from Hanoi to Mai Chau is very enjoyable and scenic for motorcycle touring. 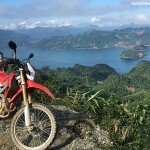 This 2 day motorbike tour from Hanoi to Mai Chau valley is always the most recommended motorcycle tours in Vietnam. This short Vietnam motorbike tour to Mai Chau will be started by leaving from outskirts of Hanoi at around 8 . Avoiding the busy traffic by taking some narrow and small country road. 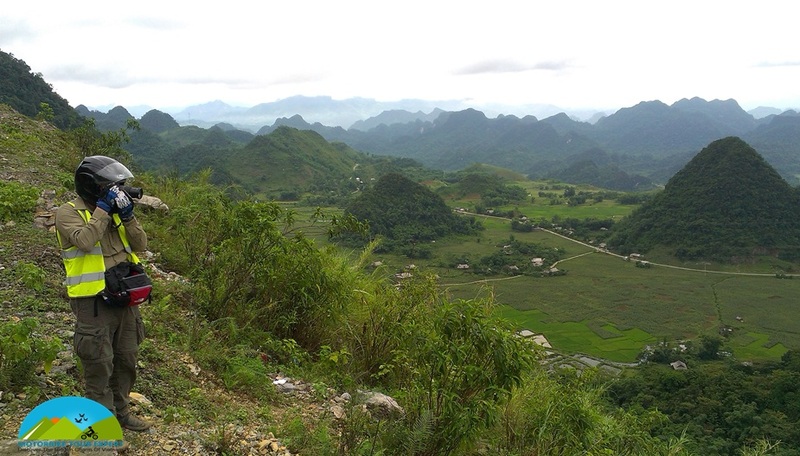 We ride our motorcycles west to Mai Chau, an area of beautiful landscape and home to the Thai ethnic minority. After lunch, we will motorcycle on forgotten French road No 6, passing extensive farming lands comprising a sea of paddy fields split by tree-lined roads punctuated by limestone karst scenery. Here is known as Ha long bay on mountain . We will ride on the Thung Khe, one of the most beautiful mountain passes in North Vietnam then heading down to the beautiful valley of Mai Chau. Diner and overnight in Mai Chau – Home stay. Enjoy a hot café and breakfast between the green rice paddies and mountains. Then we take a short walk around villages of The Thai people to feel and smell the peace of countryside, enjoying the green rice fields surrounded b mountains. The Thai women are masterful weavers who can make plenty of traditional-style clothing. You will see women weaving on looms under or inside their houses in the village We can buy some handmade traditional-style clothing, knife or cross-bow. At about 10.AM, say good bye to the friendly Thai and then take a shorter way back to Hanoi. After crossing beautiful Thung Khe and Doc Cun passes we will join the big road to Hanoi. 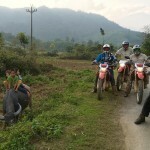 Finish easy, short and great Mai Chau Vietnam motorcycle tour before rush hours.